This tour will first take you to the medieval town of Castel Gandolfo, where the Popes' have kept their summer residence for centuries. The name comes from the castle built by the Gandolfi family in the twelfth century. Starting from your hotel in Rome we stroll the hills around Rome. The countryside around Rome are delicious; rolling hills and verdant plains, studded with farmhouses, villas and palaces of the era, up to the Lake of Albano, located in the crater of an extinct volcano. We will stop in the small medieval village overlooking the lake to enjoy a quiet walk towards that, which was the summer residence of the Popes for several centuries. In fact, the Papal residence and its gardens are part of the Papal States. 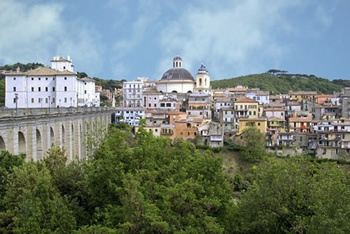 The Castelli Romani are one of the busiest tourist areas of the province of Rome. The famous Ville Tuscolane that arise in the towns of Frascati, Grottaferrata and the papal villa in Castel Gandolfo, are the best known and most obvious proof of the preference that popes and wealthy Roman nobles had due to the climate of the hills. Our driver will take you to a nice local trattoria where you enjoy a traditional Italian meal, pizza or salad. After lunch we will return to Rome along the ancient Appian way, which was the first ancient roman military road. IMPORTANT: We do highly recommend a private licensed guide. Duration of this daytrip: 6 hours. Doesn't include Lunch,private tour guide, meals, Entrance fees and gratuities.